Understand the key underlying concepts of material disclosure and transparency. 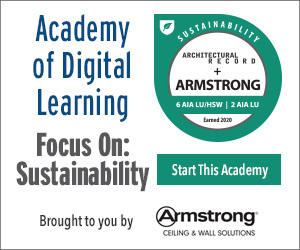 Identify the newest product disclosure requirements incorporated in the latest versions of popular green building standards, codes and guidelines. Review the important features and details of these new disclosure requirements, with an emphasis on Environmental Product Declarations (EPDs) and Health Product Declarations (HPDs). Review how and when these new disclosure requirements will be introduced into the construction marketplace. Whether you’re perusing the latest edition of an architectural magazine or viewing an online green building blog, the word disclosure is certain to catch your eye. With the release of the latest version of the LEED Green Building Rating System (LEED v4), disclosure has taken center stage as the next big topic in the ongoing discussion of how green building is defined. And sharing the stage with disclosure are new tools such as EPDs and HPDs that have emerged to help measure the “greenness” of building products. In order to understand disclosure’s eventual impact on building design and practice, it is important to start with a review of how the concept developed and how it is related to other important green building concepts. Many different stakeholders within the building community have been active in the promotion of disclosure, but they all tend to share the same questions. A particular building material may help save operating energy, but how does it impact other equally important environmental concerns? A product may have a high recycled content, but after the effort required to salvage, transport and convert the material, is there still a tangible net environmental benefit? Beyond specific environmental concerns, how does the product affect the safety, health and wellbeing of building occupants? Unfortunately, many of these questions cannot be answered effectively using current tools such as energy calculators and one dimensional green product certifications. Each of these questions is related to common concerns held not only by green building advocates but also the entire building design community: Do we have the kind and quality of information about building products to make informed decisions? Do simplistic claims or categories of “greenness” help or hinder our analysis? Do current manufacturer data sheets and reports provide adequate information? Finally, do we understand exactly what goes into the building materials we use and how these ingredients may affect the wellbeing of building occupants? Although disclosure offers an opportunity to move from guesswork to informed decision making, it is important to recognize that it remains a work in progress, raising perhaps as many questions as answers. In order to help answer some of these questions, this article will strive to provide a balanced review by focusing on two of the most talked-about tools: The Environmental Product Declaration (EPD) and the Health Product Declaration (HPD). EPDs have been around the longest of all the new product disclosure tools, and the current procedures to develop EPDs have been in place for more than a decade. However, the fact that even the best-established disclosure tool is still relatively new attests to how quickly the concept of disclosure has entered the construction market. At the same time, the current EPD process has been built on a solid, science-based approach that examines total environmental impact over the entire life cycle of a product. There are many excellent definitions of EPDs, but for the purposes of this article, the EPD may best be described as a tool that discloses recognized environmental impacts over the life cycle of a product using quantifiable measures in accordance with globally recognized procedures. This definition should be especially useful after we break it down and examine its key elements. Recognized Environmental Impacts. The environmental impacts reported by EPDs are based on a universally recognized listing of impact categories established by the U. S. Environmental Protection Agency. This listing, called the Tool for the Reduction and Assessment of Chemical and Other Environmental Impacts (TRACI), categorizes a number of key environmental impacts related to the release of various chemicals into the atmosphere, ground and water. Currently, five of the impacts are included in the data provided by most EPDs. Table 1 provides a listing of these five impact categories along with a brief description of their effects. In addition to these primary environmental impact categories, EPDs also include an analysis of the energy consumed during the product’s life cycle and classifythis energy into renewable and non-renew able sources. In addition, EPDs include data regarding water and other resource consumption, as well as information about hazardous and non-hazardous waste generated over the product life cycle. Quantifiable Measures. All of the data reported in an EPD are also quantified based on the best current science in order to allow for comparison of environmental impacts among similar products. In the case of the five key TRACI impact categories, these measures are based on chemical or molecular values that can be added to the impacts of other products to help establish an overall environmental “footprint” for a combination of products, such as a building or major building component. Table 2 provides a listing of the specific metrics associated with each TRACI impact category. The Product Life Cycle. The assessment and measurement of the environmental impacts reported in an EPD are structured to include all aspects of a product’s life cycle, from the initial acquisition of raw materials to the eventual removal and disposal of the product. This life cycle typically is described in an EPD using a diagram similar to Figure 1. Key elements of the product life cycle include the identification of all resource inputs (raw materials, energy, water, etc.) and all environmental outputs (atmospheric emissions, waterborne waste, solid waste, etc.) associated with the key stages of the product life cycle (raw material acquisition, transport, manufacture, installation, maintenance, removal, disposal, etc.). The diagram also typically includes a system boundary to indicate exactly what processes are covered within the life cycle assessment. As an example, the system boundary for many consumer products does not include the operation or use of the product, while almost all building material EPDs include maintenance and operational impacts within the system boundary. ISO 14044 Environmental Management - Life Cycle Assessment - Requirements and Guidelines. ISO 14025 Environmental labels and declarations - Type III Environmental Declarations - Principles and Procedures. ISO 21930 Sustainability in Building Construction - Environmental Declaration of Building Products. The use of well-established procedures helps assure that the information disclosed in an EPD has been developed in an objective and scientific manner. In fact, the type of EPD required by LEED and other green building guidelines requires a final third-party review to validate the disclosure for accuracy and reliability. EPDs are included as part of the newest LEED Green Building Rating System (LEED v4) under Option 1 of Credit MRc2 (“Building Product Disclosure and Optimization: Environmental Product Declarations”). In this option, LEED credit may be awarded for projects that incorporate at least 20 products covered by EPDs. Full credit is available for products covered by product-specific declarations, while ½ credit is awarded for products covered by a generic industry declaration. EPDs also may soon become part of other well-known green building codes and standards. Recently, the inclusion of EPDs has been proposed as an addendum to the ASHRAE 189.1 Standard for the Design of High-Performance Green Buildings, and the addendum is currently undergoing public comment and review. In addition, many observers anticipate that a similar proposal to add EPDs will be submitted as part of the 2014 code hearings for the 2015 version of the International Green Construction Code (IgCC). Benefits. Based on the previous discussion, it should be obvious that the key benefits of EPDs are related to the quantitative, scientific and standardized approach used in their development. This combination of sound measurement, good science and recognized procedure certainly helps to assure the validity and reliability of the environmental data contained in EPDs. And because of the quantifiable basis for all measurements, the data for a specific product can be added to the data for other products to obtain a relatively reasonable picture of the overall environmental impact of whole buildings and major subassemblies. Finally, the measureable values contained in EPDs can be used not only to compare products but to improve existing products. In fact, one of the original rationales for the development of EPDs was to develop useful tools to drive continuous product improvement. Limitations. Of course, the benefits of EPDs come with a price; and price itself is the first limitation. Based on my own experience in helping different manufacturers and trade associations develop EPDs, I can tell you the entire process is very expensive. Typically, an initial EPD for an average roof or wall product may cost in excess of $100,000 after you include all expenses associated with the life cycle assessment and the development of product category rules for the specific product. Along with the upfront dollar costs, the complexity of the development process may be viewed as an additional limitation. For starters, the inherent complexity of EPDs combined with the current lack of overall environmental impact data means that it is possible for different EPD practitioners to obtain different results using the same basic procedures. More importantly, because construction and design professionals usually aren’t chemists by training, it may be very challenging to select building products simply based on factors such as CO2 equivalents or moles of H+ ions. Finally, although EPDs offer a way to compare the environmental aspects of building products, they currently fail to address more specific issues involving human health. And because of this limitation, the Health Product Declaration (HPD) is being developed.